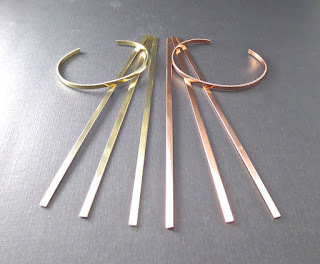 Ear in the Envelope Inc - Metal Stamping Jewelry Blog: Skinny Copper and Brass Cuffs are the Trend! for Metal Stamping Blanks!!! Skinny Copper and Brass Cuffs are the Trend! for Metal Stamping Blanks!!! Skinny Cuffs are perfect for stacking.